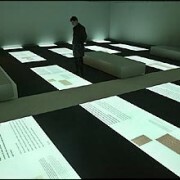 From the start of our trip in Central Europe there has been a constant theme of suppressing and manipulating history. 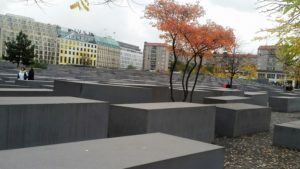 Our recent trip to Berlin then was refreshing because the city, at least more so than the other places we have visited, takes responsibility for its dark and brutal history, mainly the Nazi Regime. 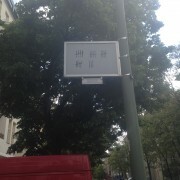 One of the ways Berlin takes responsibility is through its many memorials. 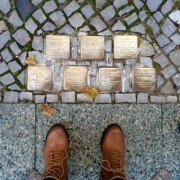 My reactions to the memorials around Berlin, ranged a lot. Some of the memorials captivated me, stimulating both my mind and my emotions, while other memorials underwhelmed me. If memorials were just art, it would not matter so much whether I liked or disliked them, but memorials can’t be just left to subjective taste. They are very important as they often reflect the dominant national narrative of the society. They tell locals how they should feel about their history and they educate newcomers to what that history is. Monuments have the potential to provide historical education with far reaching effects; just as a good memorial can educate on the history and support reconciliation, a bad memorial can perpetuate myths about history and prevent reconciliation. 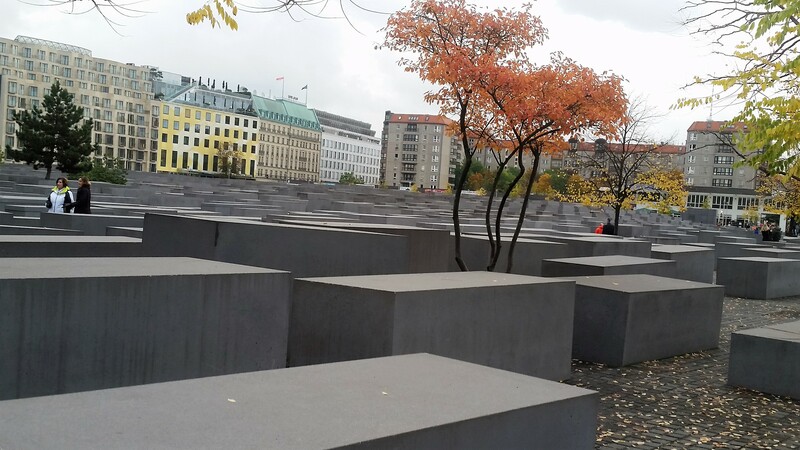 In this reflection, I draw on our study trips to Berlin and Dresden, which present two very different examples of commemoration through memorials, in order to understand how they can contribute or hamper the society’s efforts at reconciliation. When judging a memorial, there are two things that I look for, respect and education. I think that a memorial must be is respectful to the group or event that it is meant to commemorate. This means that the people or individuals being commemorated feel like the memorial represents them and their cause fairly (of course, there will always be exceptions and not everyone of the group will feel the same way about a memorial). Secondly, a memorial has the responsibility of educating the larger public. The people who do not know about what is being memorialized should learn this through the memorial. While we saw great memorials in Berlin, I would feel my analysis would be incomplete if it did not include at least one memorial from Dresden. Berlin and Dresden, both German cities, are very unalike when it comes to their views on history. While Berlin’s memorials can range from excellent to inadequate, Dresden’s memorials that we visited represented in my view everything a memorial should not be. By considering the memorials we have seen in Germany, I hope to understand what specific elements of a memorial can make it good for reconciliation and what specific elements can counter reconciliation. 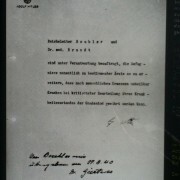 (Seemann & Stoltz, n.d.b) This poem is in German and in English. In the background, a violin plays quietly, the music is soft and solemn. Lindsey, another member of our small party, I think best summed up the memorial; she said that the space “demanded reverence.” Karavan, when designing the memorial, wanted it to be a place of reflection for both the people who were personally affected by the attempted genocide of the Roma and Sinti, and by those who were not aware of what happened. They both see their reflections in the pond (Seemann & Stoltz, n.d.a). 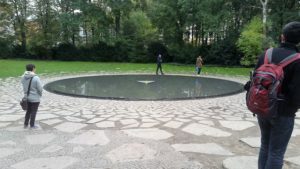 The memorial educates people who do not know about the persecution of the Roma and the Sinti, but most importantly it symbolizes a step towards reconciliation. The opening of the memorial in October 2012 was hosted by the German Chancellor Angela Merkel, and was attended by Romani Rose, the head of the German Central Council of Sinti and Roma. In her speech, Chancellor Merkel stated that the memorial was a promise to protect the victims of the past as well as today’s Roma and Sinti who still suffer from discrimination. Mr. Rose also saw the importance of the location of the memorial right next to the Reichstag, remarking: “I’m thankful that the German government is opening this memorial to the public, and I see its location, so close to the German Parliament, as an attempt to make amends.” (Cottrel, October 24th, 2012) I think these are the indications of a successful memorial, that the people it is dedicated to feel respected, that it is educational, and that it makes steps towards reconciliation. It makes sense then that the memorial does not work as a memorial for the Jewish people killed by the Nazis, because it was not intended to. I would argue then that maybe the structure should be renamed. This was a big misstep for everyone involved in creating the monument. 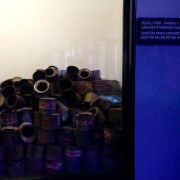 In defense, one could say that the people can interpret the work as a memorial, there are people who go and feel moved, but it does not change the fact that that was not the intention. If a memorial reflects what the society thinks then intention does matter. 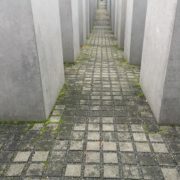 The German government by approving this memorial is giving something to the German people, either a place to think about their history but more accurately a very nice picnic spot in the middle of the city, claiming it for the murdered Jews and then patting themselves on the back for it. I myself am not a part of the Jewish community but this seems incredibly disrespectful and this fails the first criteria of a good memorial, it does not respect the victim. The second criteria is not fulfilled either because the only education you can experience is if you go into the information center which really is separate from the memorial. 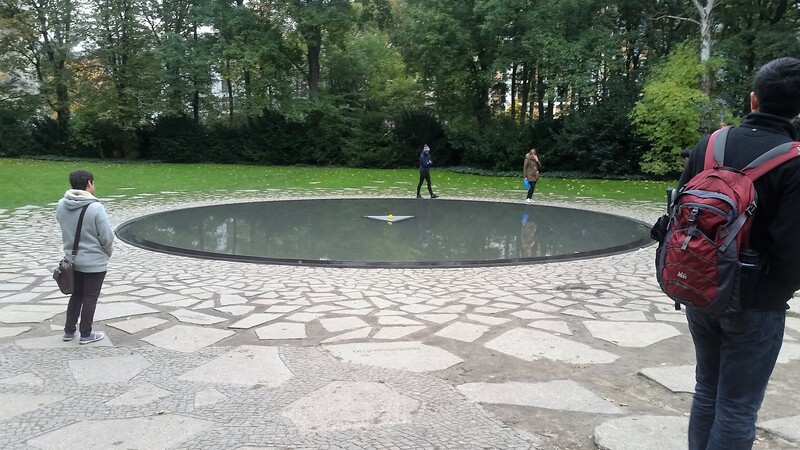 Berlin and Germany as a whole have done a good job on other memorials and on reconciliation as a whole. 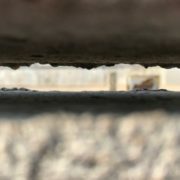 This one memorial does not negate those efforts, but the memorial has some saddening implications and hardly functions as a tool of reconciliation. Nothing on the surface seems wrong with this message but the problem is that the number of the people who died in the Dresden bombing is known. The actual of people killed was 3,500 but this number was purposefully exaggerated to 350,000 by the Nazis to create leverage for the post-war trials against the allies. Though the Nazis lost the war the number was not rectified by the GDR, because the Communists still wanted to use Dresden as a symbol of the evil of the West for their own political propaganda. The myth of 350,000 or the language of the “unknown victims” is still used today by the right-winged groups of Dresden, most notably PEGIDA (in English standing for Patriotic Europeans Against the Islamisation of the West). Neo-Nazis also claim that the Dresden bombing was as bad or even worse than the atomic bombings of Hiroshima and Nagasaki. It is important to stress that Dresden was not unlike other European cities that were bombed in WW2 and it was Germany and not the allies that invented the blitzkrieg military tactics. Accurate information is fully accessible after the reunification of Germany, but some people do not want to hear the truth. The memorial means a lot to the people of Dresden but it perpetuates a false reality that is supporting a neo-Nazi movement. It is not respectful to the victims of the bombings to have their deaths be used for politics in this way and the memorial instills misinformation in those who visit it. Memorials inherently are going to be political but once the politics is being placed before the respect for the victims and historical accuracy then I think corrections need to be made. The memorial does not contribute to reconciliation efforts but in fact, damages the reconciliation process by supporting the mythology of today’s neo-Nazi groups. The beauty in memorials is how they represent something so much larger than what is on the surface. They indicate what a society thinks about their history, the progress they have made, and how they plan to act in the future. Generally they are positive, an outstretched hand to a group of people who have been deeply hurt but they can also be a barrier to peace when they make no efforts or ill efforts at being respectful of people and honest about the past. In Germany the memorials represent the complexities of the national narrative and of reconciliation. 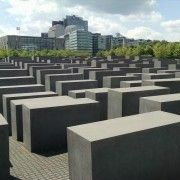 By examining the memorials in Dresden and Berlin, the underlying issues can be brought to light.